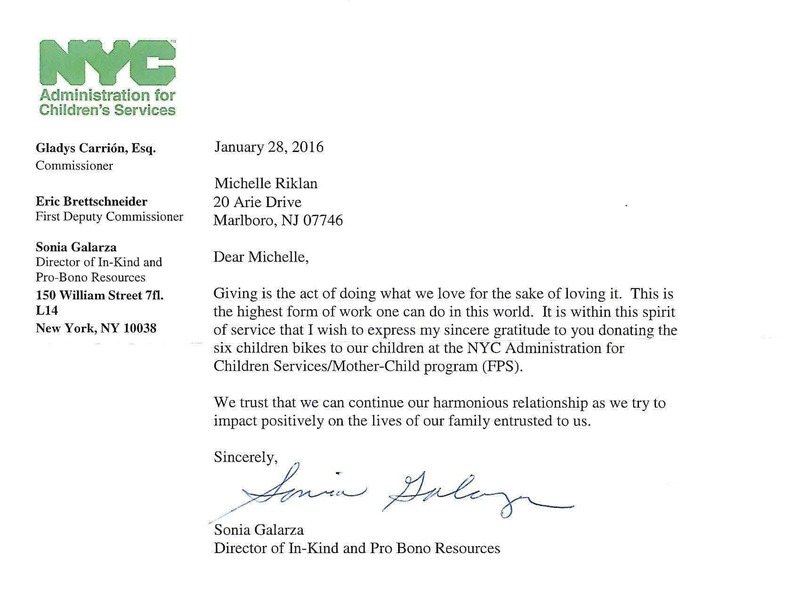 Below is a very kind note from a New York City charity who received bicycles in a recent Build-A-Bike ® event in New York! Giving is the act of doing what we love for the sake of loving it. This is the highest form of work one can do in this world. It is within this spirit of service that I wish to express my sincere gratitude to you donating the six children bikes to our children at the NYC Administration for Children Services/Mother-Child program (FPS). We trust that we can continue our harmonious relationship as we try to impact positively on the lives of our family entrusted to us. This was a donation made during a fun team building activity for Colgate-Palmolive earlier this year. Nice job!